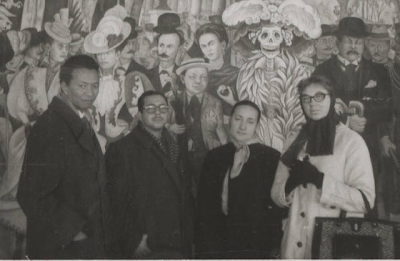 Wifredo Lam and Martha Frayde with others in Mexico in 1957. From the Martha Frayde Barraqué Papers. Martha Frayde was a doctor, diplomat, dissident, human rights defender, exile and through it all, she remained a Cuban who never forgot her homeland. She fought nonviolently against dictatorship in Cuba. 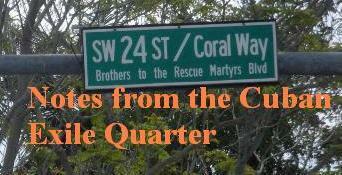 First against Fulgencio Batista and later against Fidel Castro. Together with Ricardo Bofill she was one of the founders of the Cuban Committee for Human Rights in 1976. Bofill in an August 2008 interview described how he, Martha and Eddy Lopez in Martha Frayde's home signed the founding document establishing the Cuban Committee for Human Rights. In the 1984 documentary Improper Conduct she spoke about her experiences in prison. Martha Frayde was Cuba's representative to UNESCO in Paris until 1965 when she returned to Cuba and began to dissent from the Castro regime's slide into totalitarianism. Doctor Frayde was an early supporter of Fidel Castro; they met during the Batista regime. Both Fidel Castro and Doctor Frayde were members of the same left-wing opposition group. Due to her militancy against the Batista regime, Doctor Frayde was arrested by the Batista police in 1957. She escaped prison by fleeing to Mexico where she lived in self-exile until the fall of the Batista regime. After the revolution Doctor Frayde became vice-president for Chinese-Cuban Solidarity and in 1959 she accompanied Fidel Castro on his visit to the United States and Canada. During this period, as president of the Cuban Peace Movement, she decorated Fidel Castro with the order of Lenin. From 1963 to 1964, Doctor Frayde taught gynecology in the Broca Hospital in Paris—during this period she was also a Cuban delegate to UNESCO. After her return to Cuba in 1964, Doctor Frayde voiced her alarm to Fidel Castro concerning his overly close ties to the Soviet Union. By 1965 Doctor Frayde was relieved of all her official posts and she went into private practice. In 1968 permission for Doctor Frayde to leave Cuba to teach at the University of Madrid Medical School was abruptly rescinded four days before her departure. Permission to leave the country was withheld from her “on grounds of national security.” In 1976 Doctor Frayde was placed under house arrest—later her personal possessions and her medical library were confiscated by the government and destroyed. Doctor Frayde was sent to a women’s prison for common criminals—Nuevo Amanecer. 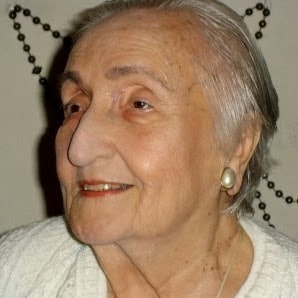 She passed away yesterday at age 93 in Madrid, Spain. In 1989 she founded the Spanish section of the Cuban Committee for Human Rights and remained an active member until the end of her life.